2014 - WOW - What an amazing day at Babcock this Spring! 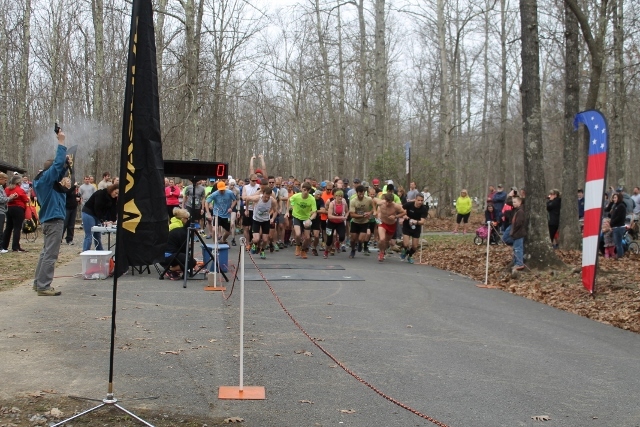 We had a record turnout with pretty much perfect conditions for our 2014 Gristmill Grinder- I am so psyched about how it all went. Many new faces took the tour this year and from the comments it was two thumbs up on the course. We also had a strong group of Babcock vets and locals who put on a great showing. We had fast times, lots of smiling faces and an awesome crew of volunteers. You knew it was going to be a special day, months in advance. The race had filled to the cap by January 21st this year with almost no advertising at all. Trail damage over the winter was minimal as compared to last year so the trails were mostly runnable. And people did run there. As the day approached an almost tangible electricity was in the air. It was apparent online though facebook, and my phone almost literally exploded as the volume of texts, phone calls and emails went off the chart. It made me nervous actually, though I couldn't understand why. Maybe it was because Babcock had become such a popular event and I didn't want to let anyone down. I really should have just shrugged it off though - because Babcock NEVER lets anyone down! Before runners ever started to show up we had water and tables being dropped off at Aid Stations and banners were being hung at the Start area. A few key directional arrows were being placed and signs were put up for parking. Everyone was moving - and as the packet pick up was being organized by Mary, Kim, Julie and Ginger wearing a "Sock Monkey" costume (thanks so much you guys) a few folks started to mill around. Then you came - in a steady stream of cars from all over the region - you came. You could see some nervous smiles from some first timers, and hugs from some old friends. Temps were pretty nice, about 50 degrees with cloud cover. The course was dry for the most part which could mean some fast times would be posted. I felt like I was vibrating I was so excited. Finally we were ready, and like the calm before the storm folks lined up at the start and stood still. After a couple of starting gun flops - the gun is fired and Babcock #10 is under way! Thank You All - for making this years event such a success! Babcock is a special place and when you are here it is even more special-. So- due to popular request we have already set our date for next year - April 18th, 2015. Mark your calendar now and plan to register in the fall. We will announce when registration opens. Until then- come back and visit! You know all those rhododendron in Babcock? Well, they all bloom in mid late May and it is worth a visit. Take your time and some pics along the way. Let us know when you come and we may join you, until then - Happy Trails!! 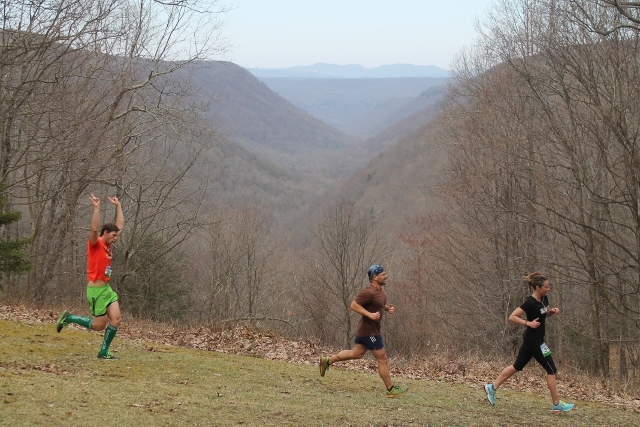 All race recaps with links to results and photos are on the right sidebar so grab a cool beverage and relive a decade of running at Babcock- we hope to see you on the trail! 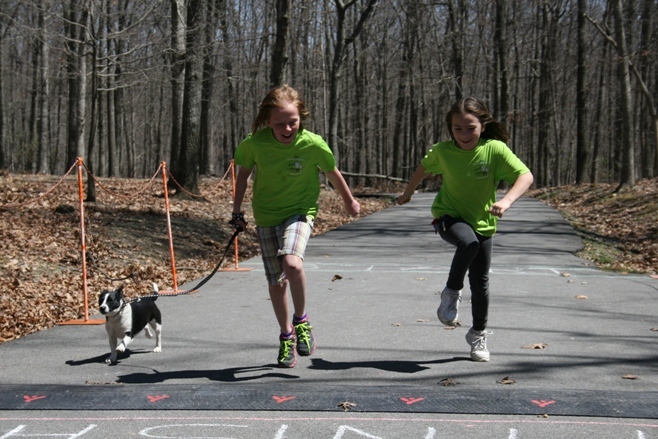 Keep checking back for news and updates and help us spread the word - Babcock Gristmill Grinder 2015 is coming! !